It is now much easier to create your own fifteen minutes of fame. As seen in the popularity of celebrities discovered on the Internet, there is a sudden shift with how people consume media – and indeed, on how they connect with others. Interpersonal communication dynamics are changing, and the key to maintaining any business is the ability of its proprietors to adapt accordingly. Nowadays, an online following is easier said than done. With a few tips and tricks, one can gain a legion of dedicated subscribers to your online content through inbound marketing. All it takes is a little Internet savvy. What audiences are naturally drawn to your product? London business networking opportunities for one’s intended market are growing, so any chance to interact with your key consumers is very important. Identify them and their tastes – what is their level of income? What parts of the city do they congregate? What are their other interests? With this knowledge in mind, a business owner can accordingly adapt to the tastes and moods of their target audience. A younger audience may respond to brighter colours and wider tastes, whilst upper to middle class incomes may prefer a more conservative approach. It pays to know your audience, and everything else will follow. In order to really believe in your product, quality is key. It would be fraudulent to sell to your target audience something that you yourself wouldn’t patronise. User reviews gain more and more traction on the Internet, and with consumers becoming more vocal about their likes and dislikes, they can dictate a businesses’ Google rankings and even the content that is generated. If, however, you have a sterling product, then half the battle is done. Promotion and branding come into play here, associating your goods with people and other businesses with which you can utilise to garner a stronger online following. It pays to socialise with people in your community. This ensures that you do not get left behind in the swirl, what with the pace of change between technology and business practices. This is especially true of artisanal products and bespoke tailoring like those on Savile Row. Whilst a good, well-fitting suit will always be in style, there are also industry trends that clients will request. Learning to balance changing practices with the integrity of your business is key here. Being aware of trends, and adapting them without losing the heart of your business, keeps your business and clientele interesting. Unbeknownst to you, there may be a few murky reviews lying around the Internet. It is rather difficult to please everyone, so reading bad reviews will actually help your product in the long run. Perhaps a local distributor or a quality change is responsible for the feedback, but addressing them in a kindly and respectful manner reflects onto your business as well. Offer to refund or exchange, because one may lose a small percentage of profits, bad publicity will last far longer. With the Internet nowadays, timing is also important. If a customer complains, it is best to reply to them within the hour. Even if there is nothing to be done, audiences will laud upon your swift response. Hearing from your community and your audience is important, but what really makes one ahead of the curve is by immersing one’s self in researching possible innovations to your product. Even the most stories and successful of businesses and corporations – IBM and Coca-Cola to name a few – have had a few industry blunders to its name. Does anyone remember New Coke? Experimenting and researching on your own also enhances one’s intuition and instincts in running one’s business. Treat networking and research as one and the same, always breaking new ground and forming new bonds. Only then can one predict and even set marketing trends of your own, which will greatly increase public esteem for your product and business. There is only one thing that separates a good business from being great, and that is work ethics. Even in online marketing, where knowledge and information can be accessed faster than ever before, it is all naught if no one puts in the effort to put these things into place. This means hiring the best people, outsourcing if possible. Everything from content, image, distribution and promotion should be carefully studied and taken care of. In highly competitive markets such as IT and the entertainment industry, there are only so many places where you can me number one. This cannot be emphasised enough. Everything hinges on unique content. As a business owner, you are considered an expert in your chosen field. As such, unique content should be a given, whether it be your own opinion or a consensus between one’s peers. Apart from written content, this also applies to visual content. This means posters, infographics, images, and even audio. Networking is a terrific avenue to find partners to collaborate with. Artists and designers can accommodate your needs and promotion for their work, and yours, will be two-fold.
. . . But so is being found. No man is an island. In fact, “unique” content it may be, there is a possibility that similar pieces can be found online. Ideas that are novel and ground-breaking are often sourced back to the research that they have done, so make sure that the content you produce has an objective. Is it to inform? Engage? Clarify this first. Customer interaction is everything -- from private chats to actual demos with people – so make sure that, apart from having a purpose, it can be easily found. Locate backlinks for your posts to ones that you’re already written, increasing website traffic. 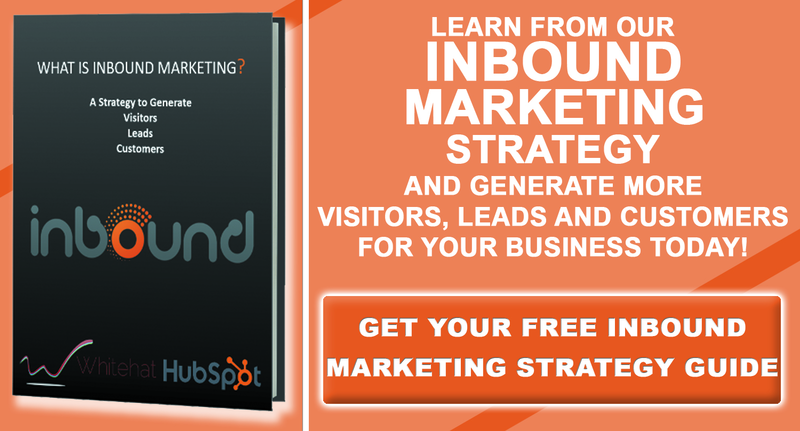 Embrace technology through inbound marketing, and not just through written content. Visuals and video marketing can also be used, tailoring your business to fit your clientele.